Do all Hearing Aids Whistle? 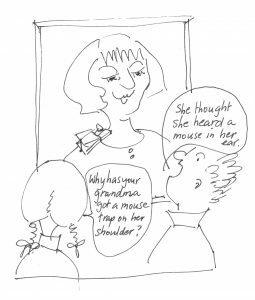 During a recent consultation, a client told me a story about a lady whose hearing aids whistled. 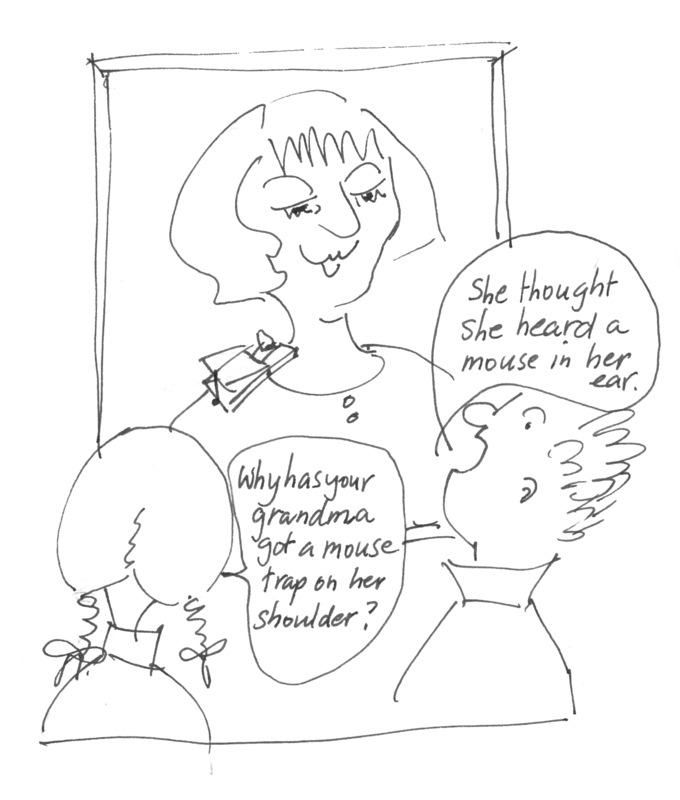 When her grand-daughter heard the sound, she asked Grandma whether she had a mouse in her ear! This is caused by feedback and is experienced by many hearing aids users, although it is less of a problem with today’s hearing aids than a generation ago. The annoying whistling sound is caused by amplified sound leaking out of the ear canal back into the hearing aid’s microphones to be amplified again. The hearing aid picks up the sound and makes it louder! Modern hearing aids have a feedback cancellation program, which reduces the likelihood of this happening, so it is less of a problem these days. A crack or break in the tubing connecting the hearing aid and mould – the tube needs replacement. Earmould is not inserted properly in the ear – ensure mould is fully in the bowl of your ear, not protruding at top or base. Ear canal may have changed shape slightly –a new impression of your ear for a new mould may be appropriate. For soft earmoulds, the mould may have become hard and leak sound – new moulds should help with this too. Finally, a very common cause of feedback is the presence of excessive wax in the ear canal. The amplified sound bounces off the wax and back into the microphones. Seeing your doctor about wax removal will hopefully eliminate the problem – at least until wax builds up again. Please let us know if you continue to experience feedback. We will help work out what the problem is and assist you in having a more pleasant listening experience.